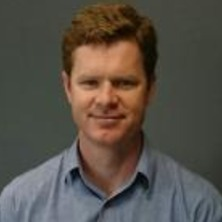 Ben is a specialist in equine surgery and is board certified by the American College of Equine Surgeons (www.acvs.org) and the American College of Veterinary Sports Medicine and Rehabilitation (www.vsmr.org) he is one of only a handful of veterinarians in Australia with these dual qualifications. He has authored multiple book chapters and has published on a wide range of topics ranging from orthopaedics and lameness, to novel tie-back procedures and stem cell therapies. Use of large animal models for experimental human research. Ahern, Benjamin (2014). Biomechanics of the prosthetic laryngoplasty. In Hawkins, Jan (Ed. ), Advances in equine upper respiratory surgery (pp. 35-41) Chichester, West Sussex United Kingdom: Wiley-Blackwell Publishing. Ahern, Benjamin J., Boston, Raymond C. and Ross, Michael W. (2014) Enostosis-like lesions in equids: 79 cases (1997-2009). Journal of the American Veterinary Medical Association, 245 9: 1042-1047. Ahern, Benjamin J., Soma, Lawrence R., Rudy, Jeffrey A., Uboh, Cornelius E. and Schaer, Thomas P. (2010) Pharmacokinetics of fentanyl administered transdermally and intravenously in sheep. American Journal of Veterinary Research, 71 10: 1127-1132. Ahern, Benjamin J., Soma, Lawrance R., Boston, Raymond C. and Schaer, Thomas P. (2009) Comparison of the analgesic properties of transdermally administered fentanyl and intramuscularly administered buprenorphine during and following experimental orthopedic surgery in sheep. American Journal of Veterinary Research, 70 3: 418-422. Ahern, Benjamin (2016). Fractures, what is now fixable and what still isn't. In: Australian Veterinary Association annual conference, Adelaide, Australia, (). 22-27 May 2016. Ahern, Benjamin (2016). Large skin defects - surgical options. In: Australian Veterinary Association annual conference, Adelaide, Australia, (). 22-27 May 2016. Ahern, Benjamin (2016). Management of guttural pouch disorders. In: Australian Veterinary Association annual conference, Adelaide Convention Center, Adelaide, South Australia, (). 22-27 May 2016. Ahern, Ben (2016). Surgical management of dynamic upper airway obstructions. In: Australian Veterinary Association annual conference, Adelaide, SA, Australia, (). 2016. Ahern, Benjamin (2013). Regenerative medicine in equine practice. In: Australian and New Zealand College of Veterinary Scientists College Science Week Conference, Gold Coast, Queensland, Australia, (). 2013. Ahern, B., Boston, R. and Ross, M. (2012). Enostosis like lesions in 79 horses. In: Bain Fallon, Equine Veterinary Australia annual conference, Brisbane, (). 2012. Ahern, Benjamin, Showalter, Brent L., Elliott, Dawn M., Richardson, Dean W. and Getman, Liberty M. (2012). In Vitro biomechanical comparison of a prototype 4.5mm narrow LCP versus a 4.5mm LC-DCP construct for arthrodesis of the equine proximal interphalangeal joint. In: Bain Fallon, Equine Veterinary Australia Annual conference, Brisbane, (). 2012. Ahern, Benjamin and Parente, Eric (2012). Mechanical testing of the Equine Laryngoplasty. In: Bain Fallon, Equine Veterinary Australia Annual conference, Brisbane, (). 2012. Ahern, Ben (2011). Novel methods to combat orthopaedic infections. In: American college of veterinary surgeons annual conference, Chicago, USA, (). 3-5 November, 2011. Ahern, B., Boston, R. and Ross, M. (2010). Enostosis like lesions in 79 horses. In: American Association of Equine Practitioners, Baltimore, USA, (). 2010. Ahern, Benjamin, Boston, Raymond and Ross, Michael (2010). Enostosis like lesions in 79 horses. In: American College of Veterinary Surgeons Annual conference, Seattle, USA, (). 2010. Ahern, Benjamin J., Bostic, Sandra, Harten, Robert and Schaer, Thomas P. (2009). Large Animal Model for evaluation of Screw Augmentation Materials. In: American College of Veterinary Surgeons, Washington, (E23-E23). 2009. Ahern, Benjamin and Parente, Eric (2009). Mechanical testing of the Equine Laryngoplasty. In: American College of Veterinary Surgeons, Washington, USA, (). 2009. Ahern, Benjamin and Schaer, Thomas (2009). Single site osteochondral resurfacing – an in vivo caprine study. In: Internation Cartilage Repair Society, Miami, FL, USA, (). 2009. Ahern, Benjamin, Harten, Robert and Schaer, Thomas (2008). Mechanical evaluation of fiber reinforced calcium phosphate – in vitro and in vivo. In: American College of Veterinary Surgeons Annual Conference, San Diego, CA, USA, (). 2008. Ahern, B. J., Richardson, Dean and Schaer, Thomas (2007). Retrospective study of orthopedic infections in equine long bone fractures treated by internal fixation: 192 cases (1990-2006). In: American College of Veterinary Surgeons, Annual conference, Chicago, USA, (). 2007.